I've been meaning to do this since early January when David Bash's lists came out, and now I've finally gotten around to it. 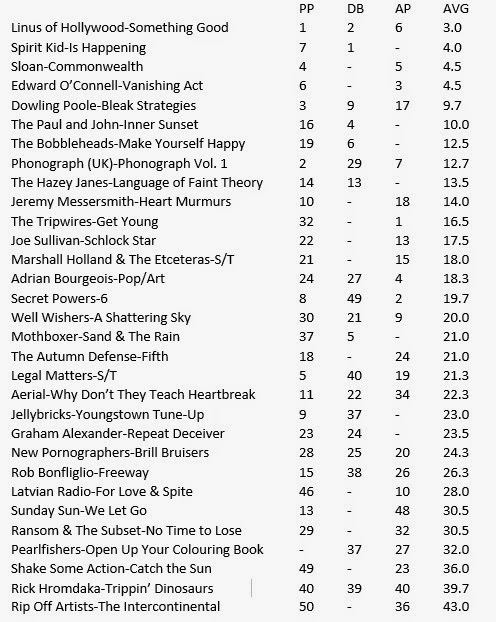 I wanted to combine the top lists of Bash, myself, and Powerpopaholic into one consensus power pop ranking for 2014. As Powerpopaholic only went with a top 50, I limited myself to my own and Bash's top 50, and to be ranked here a disc had to be in at least two of the three lists. There were two discs that all three of us had almost eerie agreement on. One was at the top (Linus of Hollywood where we all went top six) and one was at the bottom (Rick Hromdaka's Trippin' Dinosuars came in at 40-39-40). 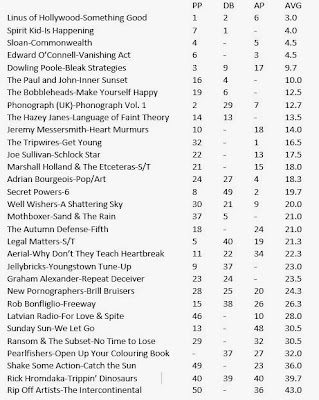 There was a lot of diversity with only 11 releases appearing in all three lists, although part of that might be due to David Bash's refusal to rank download-only releases. I had 23 in common with Powerpopaholic and 12 in common with Bash (The Pearlfishers was the only one Bash & I had that Powerpopaholic didn't), while Powerpopaholic had 18 in common with Bash. 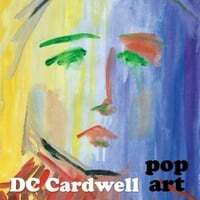 DC Cardwell-Pop Art. Aussie DC Cardwell returns with the follow-up to 2011's Some Hope, and brings us another round of mild-mannered, Beatlesque pop. 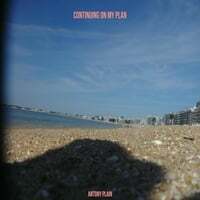 Favorites: "In the Cloud" (where you can get this release), "Magic for Everybody" (a piano-pop gem) and "Record Store Day" (an ode to the old-school way of buying music). Greg Hoy-The 21 Day Myth. Greg Hoy has been a pop chameleon throughout the last decade, releasing numerous albums with styles as varied as straight-up power pop, Sun Records-style rockabilly, and near-heavy metal. This time around he's gone with groove, with the results resembling the minimalist-yet-melodic beats of Spoon. "The Talk Goes Stiff" and "Fiend 4 Your Soul" are the standouts here. 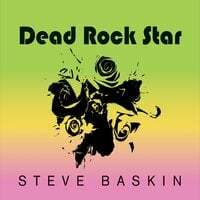 Steve Baskin-Dead Rock Star. This Atlanta-based singer-songwriter is back with his third album, and this one is the best of the lot. It has a "big" sound, with big hooks and big melodies that remind me of fellow Atlantan Butch Walker. 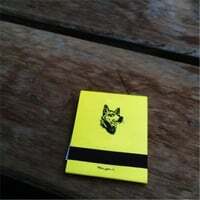 The opening 1-2 punch of "Single Thing About You (Chinchilla)" will leap out of your speakers, and Baskin has some facility with a ballad too ("Nobody Died Today"). Plus there's a pretty good cover of "Killer Queen" thrown in the mix. One of 2015's early best.